I am currently reading Jamaica Inn by Daphne Du Maurier I’m in the mood for something a little darker and bit brooding which is typical from Du Maurier I’m only few pages in but so far I’m getting the right vibes. I have read loads (for me) in February I have read Kindred by Octavia E. Butler, Lethal White by Robert Galbraith, A Discovery of Witches by Deborah Harkness and Shadow and Night by Deborah Harkness. You can find my A Discovery of Witches review here. I’m quite keen to finish reading the All Souls Trilogy so I imagine I will read The Book of Life next after that I’m not sure I’ve kept my TBR pretty open as there are quite a few new releases I want to get my hands on! What are you guys reading at the moment? This entry was posted in Uncategorized, WWW Wednesday and tagged a discovery of witches, book blogger, book reviews, books, J.K Rowling, Jamaica Inn, kindered, Lethal White, WWW Wednesday on February 20, 2019 by Chloe. All of last year I was in the most frustrating reading slump I did read but I seemed to just bounce from slump to slump never quite making it over the mountain and over the other side. I don’t know whether it was me or my reading choices, but I was stuck. Luckily, I seem to be having a much better time in 2019 steadily making my way through my TBR which is heavily featured on my Instagram if you fancy peep. My most recent read was The Discovery of Witches by Deborah Harkness, back in the Autumn I watched the series on t.v and loved every episode and the series quickly made it’s way to my TBR and this February I finally got around to reading it. For those of you who don’t know, the story follows Doctor Diana Bishop she is a reluctant witch, and a Yale graduate, currently teaching at Oxford University. She is doing research in the famous Bodleian Library when she requests a book for her alchemical research, the manuscript Ashmole 782. Once she touches the book Diana instantly knows this isn’t just an ordinary text but a magical book, a lost book that creatures believe has the answers to their creation. It is in this same library where she meets Vampire Mathew Clairmont and of course that’s where all the real trouble begins. I really enjoyed A Discovery of Witches, normally when reading books about magical creatures’ whether they be witches or vampires or other worldly beings I have found that these ‘tropes’ can often be found in Young Adult books. Which is fine but can feel a little tiered after a while because let’s be honest when reading a YA fantasy romance 9/10 times you know where the plot is going and whose ending up with who, of course there are exceptions but that’s for another day, another post. I find reading an adult novel in this genre interesting, the stakes feel higher when reading about an adult romance in fantasy which I found interesting, it’s defiantly something I’m going to explore further. I love history and our main character Diana is a History Professor I really enjoyed reading about such an accomplished young woman this allowed the plot to based in the historic city of Oxford and this added a creepy layer to the world which the All Souls Trilogy inhabits every page peeling back a little bit more. The book has its roots embedded in history and historical fact and you can tell the author both knows her stuff and has done a lot of research when writing this book this gave the novel a feeling of authenticity, the fact that a lot of what is being written is rooted in fact I loved that. The only small issue I have is that sometimes you can really tell this book was written by an American which can pull you out of the writing a bit when you’re reading about England clearly written by someone who isn’t British but trying to sound as authentic as possible it can be a little jarring when you know what is written isn’t quite accurate, or describe quite right. It’s only sometimes and not a big deal but as I’m about to start book three The Book of Life I’ve clearly been having a great time making my way through this trilogy. If you love a good romantic romp, with vampires and daemons not forgetting the witches of course then I would highly recommend you start this trilogy. The romance in this book is an interesting one it’s gripping as well as frustrating and although it falls in line with all the usual ‘vampire falls in love’ tropes the author did a great job weaving them through out the story and just made it fun to read. This book is also full of positive representation which was great about I can’t see where this story goes next. 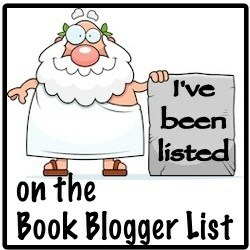 Why not check out all my other book reviews here! This entry was posted in Book review and tagged a discovery of witches, book blogger, book review, books, deborah harkness, demons, Diana and Mathew, magic, reviews, vampire, vampire books, witch, witches on February 19, 2019 by Chloe.